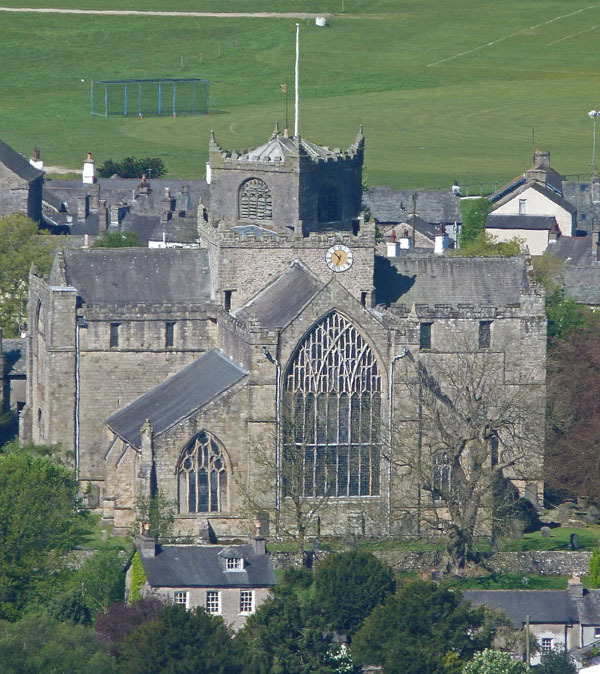 Cartmel Priory is a fine solid building which presides over the adjacent village of Cartmel. It was built by Augustinian canons between 1190 and 1220. 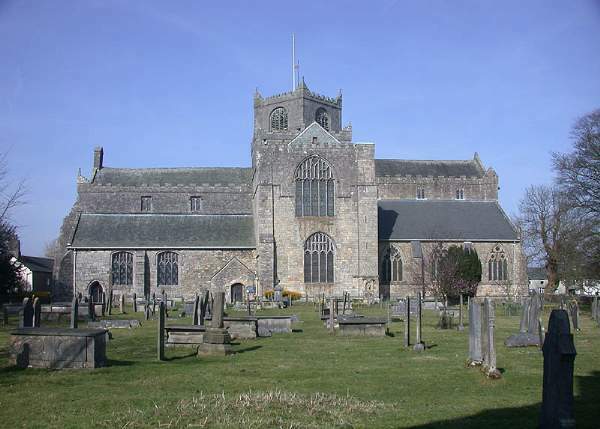 A great part of the Priory was destroyed at The Dissolution of the Monasteries, but the church remains because it is still the parish church. Internally it displays a mixture of styles from the plain and massive arches of the nave, to the fine Renaissance screens, choir stalls and the delightful misericords. 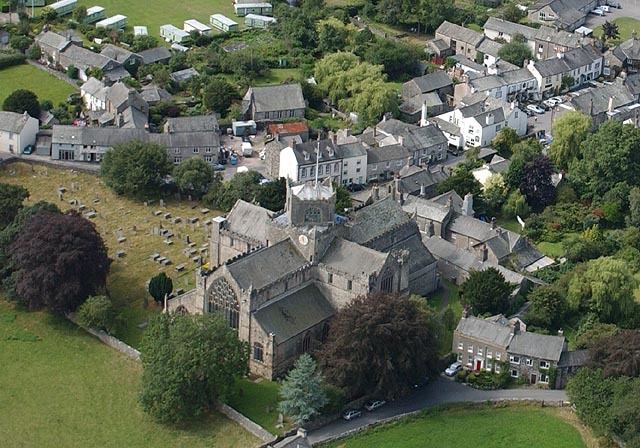 In 1536-37 Cartmel Priory was surrendered and the canons dispersed. 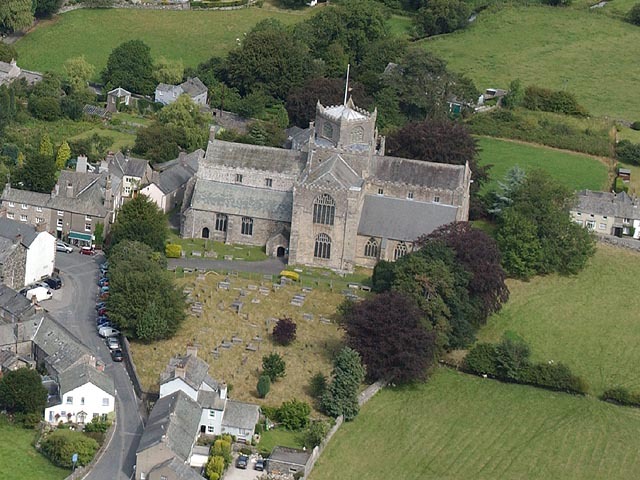 The Priory Church was saved through the efforts of parishioners , but the domestic buildings were pulled down completely, with the exception of the Gatehouse, and a few small buildings which have now disappeared. Close to the Cromwell door is a resin bronze sculpture by Josefina de Vasconcellos. Inspired by the text ‘They Fled by Night’, it represents the Holy Family as they share the hazards and hardships of all who travel to a strange land as refugees. 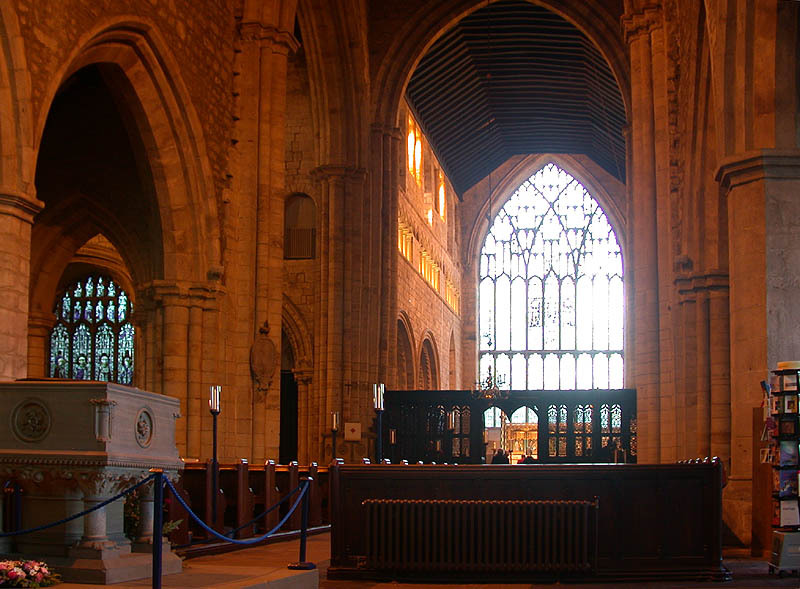 Mary and Joseph sleep, but the child Jesus has awoken to explore the beauty of the night. 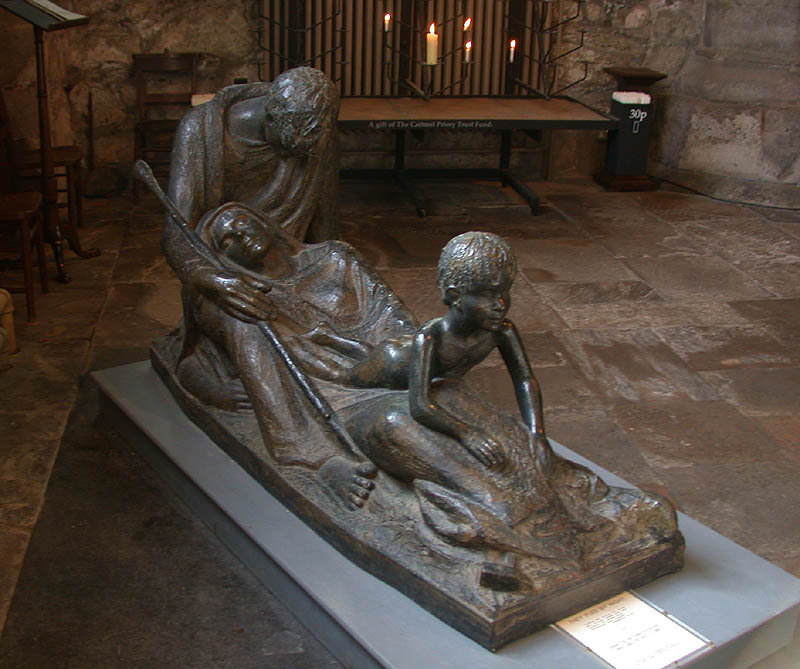 It was exhibited at the church of St Martin-in-the-Fields in London during World Refugee Year (1959-60) and later presented to the Priory at the suggestion of the sculptor.